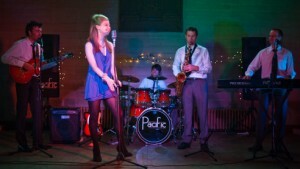 Pacific - Neil Drover - agency for live music, presenters and entertainers. 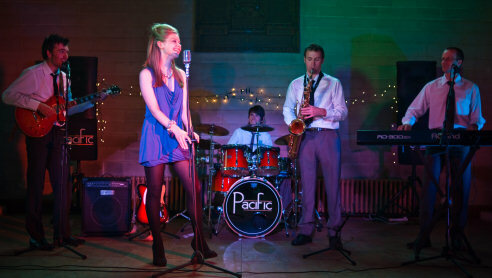 Based in Glasgow and primarily working within Scotland’s central belt, Pacific are a successfully established five –piece function band specialising in Weddings, Corporate, and Private Functions, available for hire up to two years in advance. Comprising five experienced, dynamic and creative multi-instrumentalists, Pacific is most frequently hired as an ‘all-inclusive entertainment solution’. They will adapt a set-list specific to your requirements covering a versatile range of genres including Pop, Jazz, Swing, Motown, Ceilidh and Disco. The necessity for quality of musicianship, methods of delivery, diversity in play-lists and overall presentation is of paramount importance. Through experience, Pacific have also realised the equally important aspect of managing client contact, before and on the day of your function. Clients can expect a professional level of communication and the necessary assurance whenever required surrounding the details of the booking. Pacific is hired on most occasions as a standard five-piece band. Where the size of the function or preferences of the client require, they can also be hired as a six or seven-piece band (at an additional cost).